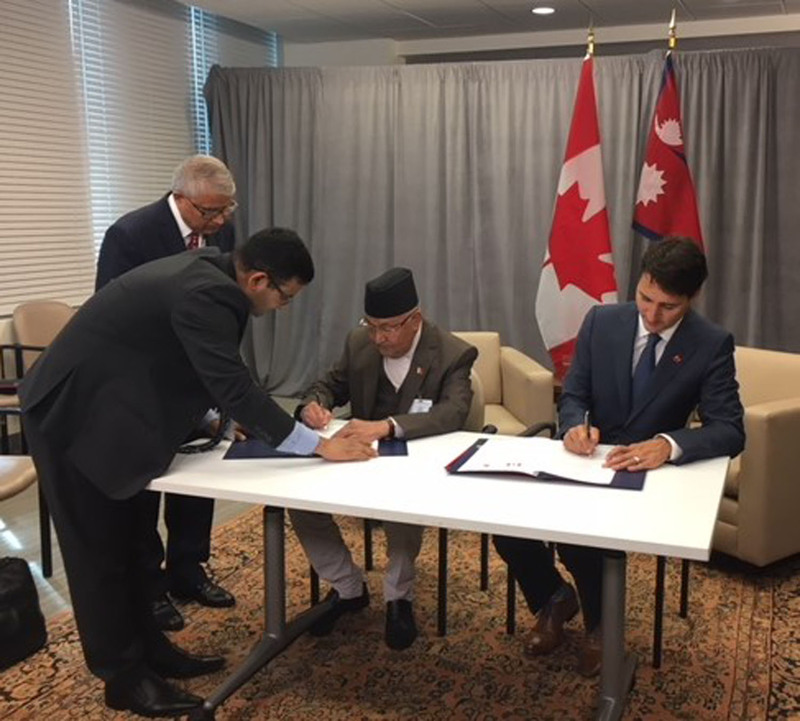 New York (25 September 2018) – Prime Minister KP Sharma Oli and his Canadian counterpart Justin Trudeau have signed an agreement on establishing a bilateral consultation mechanism between Nepal and Canada. The agreement was signed on Tuesday at the United Nations Headquarters in New York, USA. 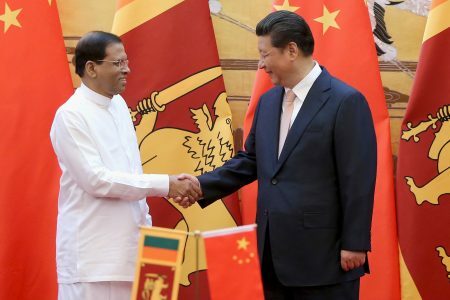 The signing of the MoU has now paved the way for holding consultation on the various facets of bilateral relations between the two countries. The two Prime Ministers held discussions prior to signing the MoU. On the occasion, PM Oli expressed his happiness on the high level meeting since the establishment of diplomatic relations between Nepal and Canada in 1965. 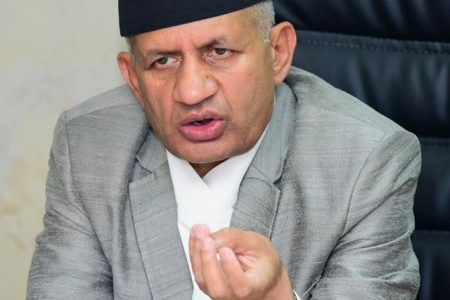 He thanked the government and the people of Canada for the assistance provided so far to Nepal and the Nepali people as well as the support given after the April 25 earthquake. The Canadian Prime Minister expressed his pleasure to have bilateral meeting at the Prime Minister’s level and to deepen, through this meeting, the bilateral ties between the two countries. Both the Prime Ministers have arrived here in connection with participating in the 73rd United Nations General Assembly. Present on the occasion were Minister for Foreign Affairs Pradeep Gyawali, Chief Advisor to the Prime Minister Bishnu Rimal, Nepal’s ambassador to Canada, Kali Prasad Pokharel, Foreign Secretary Shanker Das Bairagi, spokesperson at the Ministry of Foreign Affairs, joint secretary Bharat Raj Poudel and Chief of Protocol Deepak Adhikari.